Sugar Block Club 2016 Kick-Off! Eeek! 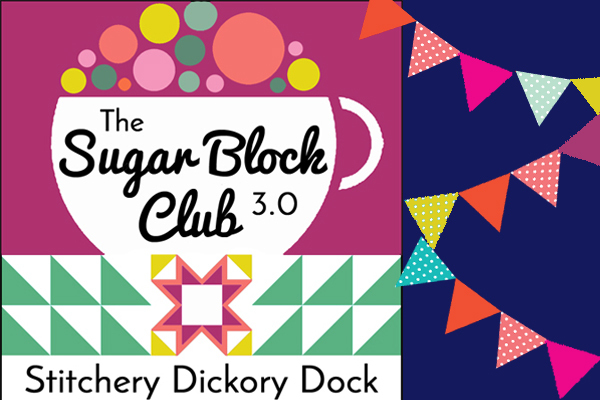 I’ve had butterflies all week, gearing up for today’s Sugar Block Club 3.0 launch! And here it is! 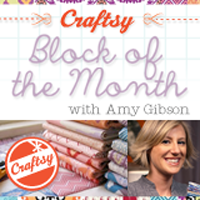 A fun new free block of the month program for a fresh new year! Lots of you have been emailing me the past few weeks with questions about fabric requirements, block types, colors…so sorry if I didn’t get back to some of you, and thank you for your patience! All of that info coming at you now, so let’s get to it! This year’s club has a really fun twist to it. 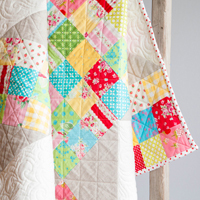 Each month is going to focus on a different iconic classic quilt block. We’ll take a look at a few traditional versions and perhaps dip into a little bit of history, and then we’ll stitch up our own fresh, modernized version of the block. 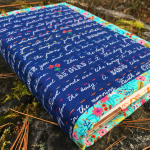 In addition to the free block pattern that I’ll be posting on my blog as well as in my SBC newsletter, each month I’ll also be offering a full quilt pattern featuring that month’s block, as an optional add-on for those who may want to take things to the next level. You know me- I’m all for samplers, but sometimes you just love a block so much that you need to make more than one! These quilt patterns will be listed in my shop and available for digital download throughout the year so feel free to indulge in an extra quilty project whenever you like. Fabric, fabric, fabric. It’s quite the hot topic! 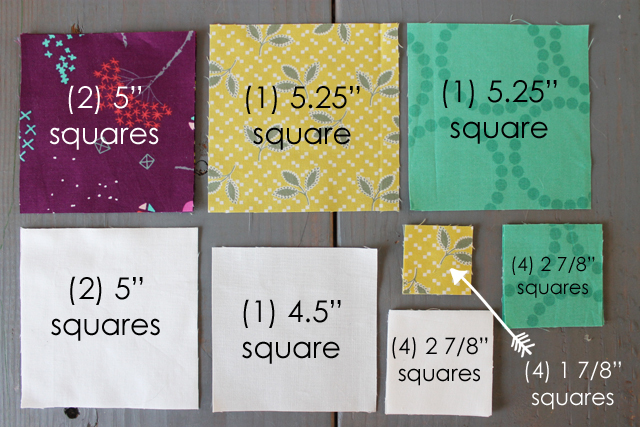 Let me give you the skinny on fabric requirements for this year’s quilt. The total amount of focal fabric you’ll need is about 4 yards. 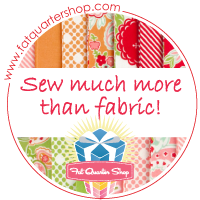 This could be yardage, fat quarters, or scraps, so even pre-cuts- whatever you have and prefer to use. None of the patches are going to be larger than about 6″, so you won’t be needing super large pieces. In addition, the number of prints and colors is entirely up to you. I don’t even know exactly how many fabrics I’ll end up using in my blocks. I enjoy an organic, loose process with a lot of flexibility, so I make them each month in the color combinations and fabrics that tickle my fancy at that particular moment, and I rarely work with a single bundle or fabric collection (Last year’s Liberty of London bundle, however gorgeous, was a such a challenge to stick to! I’m needing a taste of freedom so this year it’s 100% scrappy for me.). But feel free to work from a bundle if you like! You’ll also want to have about 2 yards of your background fabric to work with (I’m using white but feel free to use whatever color you like). All of the blocks we’re making are 12″ finished (same as the past 3 years). I like sticking to a consistent size so that blocks can be swapped our or added on to easily. There’s no rule that says you have to use all 12 blocks from this year in one quilt…combine them with other blocks to make a larger quilt, or pair with other 12″ blocks you may already have. 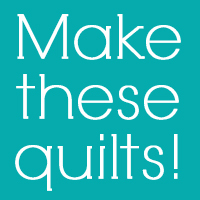 Or don’t make a sampler at all…make the full quilt each month instead! Completely up to you! 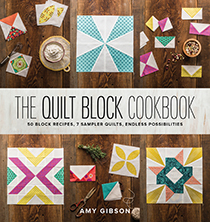 Although this program does not include step-by-step finishing instructions (like a quilt-along does), about halfway through the year I will start to talk about different layout options, and will share about the layout that I’ll be stitching my blocks into come December. Keep in mind that you will probably need extra background fabric (and other fabric if you so choose) for setting pieces…sashing, borders, etc. 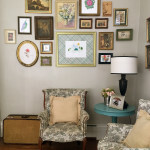 The layout I’ll be using requires 4 yards of background fabric, in addition to the background fabric used in the blocks. So let’s get quilting! 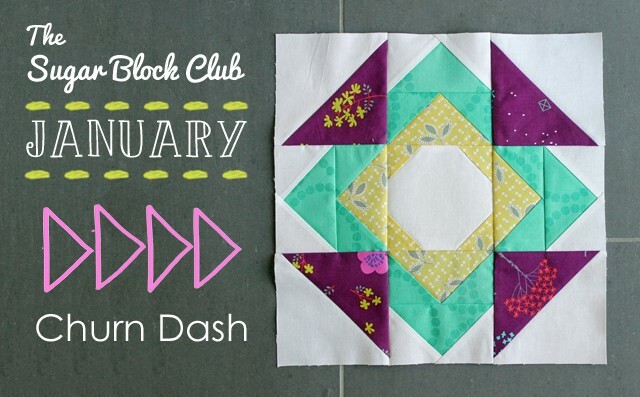 This month’s inspiration block is…the Churn Dash! The churn dash style of block dates back to at least 1896, and grew extremely popular in the 1930s. There are dozens and probably even hundreds of variations of this traditional block- all defined by the bold inward facing triangles at each corner. 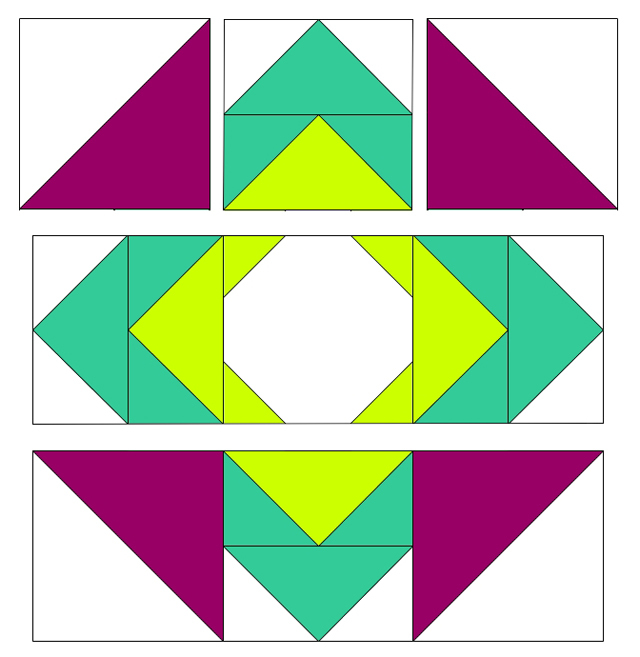 Often in churn dash style blocks, the units in between the corner triangles make up a square, either around the perimeter of the block or in the center of it. I decided to play with the orientation of that center square- turning it on point- and adding an extra frame around it, in addition to turning the center unit into an octagon instead of a square. After a bit of play, I came up with a block that still looks like a churn dash to me, but feels new and modern. And here’s a full quilt designed around this block. I just love the name Churnstile! 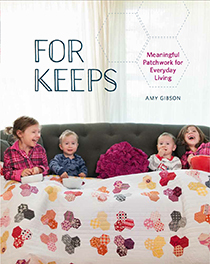 The pattern features Churnstile blocks on point, plus a mini churn dash block, and includes detailed step by step instructions that take the guess work out of everything from start to finish. 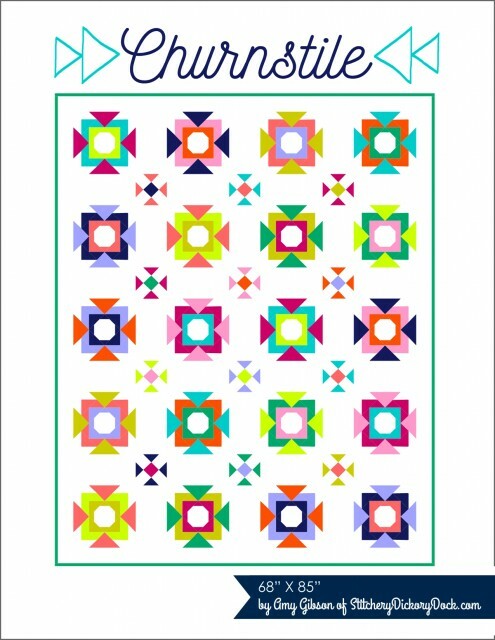 The Churnstile quilt pattern is available for digital download purchase here. So let’s get this block stitched up! 1. Start by choosing fabrics, then refer to the cutting diagram to cut out your pieces. 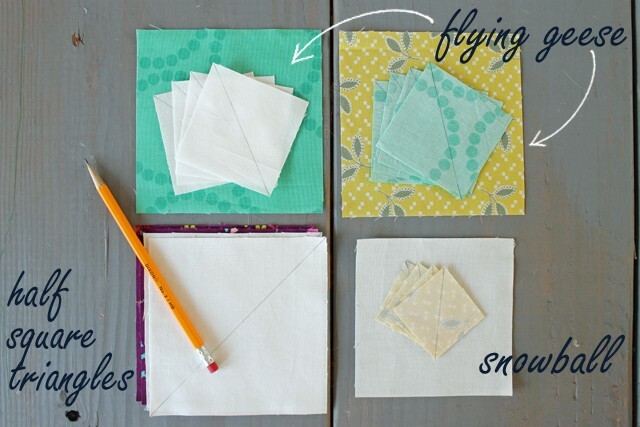 Don’t be confused by the large squares- we’ll be using a fun 4-at-once method to turn those into flying geese. 2. 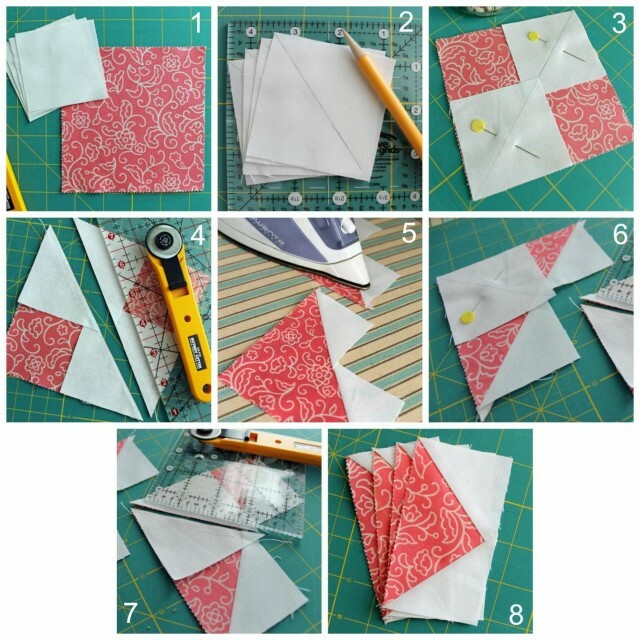 Next, create the following 4 groupings from all of your pieces, and use a pencil and ruler to draw a diagonal line from corner to corner on the wrong side of all your small squares and the white 5″ squares. 3. 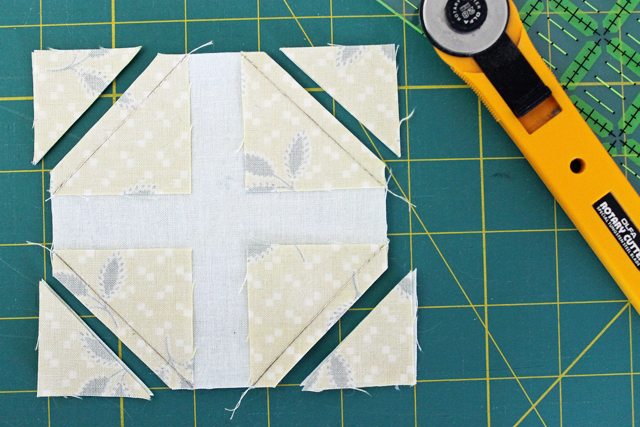 To construct the half square triangle units in the corners, pair each purple square with a same-sized white square, right sides together, and stitch 1/4″ seam on both sides of the drawn line. Cut units in half on the drawn line (creating a total of 4 units), press open, and trim units to 4 1/2″ square. 4. Next, construct the center snowball unit by aligning each of the 1 7/8″ squares to a corner of the 4 1/2″ white square, right sides together, so that the drawn lines are crossing the corner. Stitch on the drawn lines, then trim the corners to 1/4″ outside the seam. Press corners open. 5. The 8 flying geese units are created in groups of 4 using a fun “magic” method that saves time on cutting and stitching. Follow along with the step by step diagram below to make these units. For more information on this 4-at-once method, check out my full tutorial here. Draw a diagonal pencil line, from corner to corner, on the wrong side of the small squares. Pin 2 small squares to a colored square, right sides together, so that the drawn lines are both going in the same direction. The inner corners will overlap. 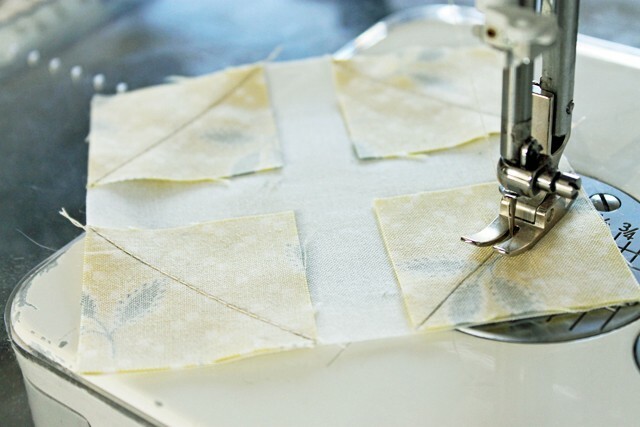 Stitch 1/4″ seam on both sides of the drawn line then cut the unit in half on the line. Press the triangle flaps open. Pin another small square to each unit, right sides together, so that the white square is aligned in the corner of the colored fabric and the drawn line runs perpendicular to the seam. Press open the resulting flying geese units. 6. 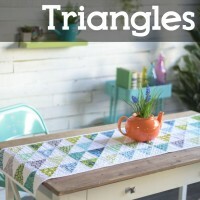 You now have 4 of each flying geese color combo, 4 half square triangles, and 1 snowball. 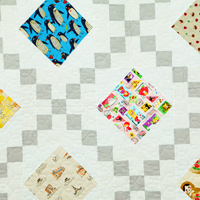 Stitch each geese unit to a geese unit of the other color combination so that the aqua edges touch (creating a square). Press seams toward the aqua point. 6. Lastly, stitch the 9 square units together into 3 rows of 3 units each. Press seam away from geese units, then join rows and press. Square up to 12 1/2″ as needed. Subscribe to join the Sugar Block Club 2016! I didn’t think I’d be sewing along with you, but this is such a great block I might have to! Love love love this block! Now I just have to figure out what fabric I’m using ~ I may just make it with whatever to get started. 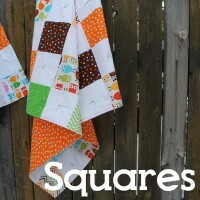 Love this block, you are going to get me quilting again with this block! I only wish you had a “Print Friendly” button on the bottom for those of us that like to follow the instructions on paper!! Amy, I deleted the email by mistake. How can I get another email so I can print out the block and information? Can I save it on my IPad to IBook? 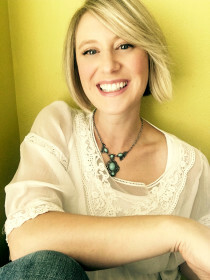 Hi June – Try PrintFriendly.com, you can paste in the url from Amy’s site and it will generate a preview. Then edit out what you don’t want to print. It’s very user-friendly, I find. Oh, thank you!! Sorry for my late, late, late reply!! thanks for this tip. I found it very friendly and useful. I was able to print from my email. So that made it easier to grab and go. I too have trouble each time printing it off Its not very print friendly Am I doing something wrong? What a pretty block! think churndash is my favorite block and your version is even sweeter. Thanks. Amy are you posting blocks somewhere like you have in previous years? I am sewing along again and want to be involved. My new Years goal is to be involved. I’m teaching for the first time this year, and I want to be involved, I want to raise money to help my grandson, I want to be involved! It will be my mantra! Involved! my block is done bring on the rest of my projects. Heres wishing you and your family a bright and beautiful new year! I agree, I only wish you had a “Print Friendly” button on the bottom for those of us that like to follow the instructions on paper!! I love this block! Thank you! Hi Ruth! You could always print off the email. Are you on the mailing list to receive the email? If you didn’t get one, you’ll find a link to sign up under the Sugar Block tab on my blog. Hope this helps! Glad you’re joining in! I, too, would like a print copy but when I try to print from the email none of the pictures show up?!!?? Any ideas on why this is or how to correct it? Thanks for any suggestions. Thank you Amy. Yes I’m getting the emails so I will definitely print it off. Thank you!! Churndash is one of my favorite blocks, and your version is awesome! Thank you so much for sharing your expertise and ideas with us. Happy New Year!!! I love the block, I was going to watch and not join in this year but I think you have changed my mind. thank you so much for this beautiful block and your generousity to offer the BOM for free! It was fun to sew it, will there be a flickr group to show all the blocks? I just came across your blog via Blogloving and would love to join in with your Sugar Block Club. I am a really new patchwork/quilter and am wondering if I should use the same background fabric in each block? You said that you are using white. Should I pick a background colour and stick with it wherever you use white, or is it ok to have different colours in each block? Does the single colour pull it all together? Please forgive the silly questions, I’d just like to be sure. Thank you. I am excited to start my sewing journey! Love how you have modernized this block. It is beautiful! I may just have to stitch along. Hi…when you line up your rows you will be off, so getting to 4 1/2 would be good. Maybe you could measure again from your needle a 1/4 in? My snowball, after 4 times wasn’t coming out at all and then I re-read the directions (again) :) I was sewing on either side of my line then trimming. ugh. Well, I have some nice sized smaller snowballs for something else in the future! Check your 1/4″. I know that has caused me problems more than once in having inaccurate block measurements!! What a fun idea, love how you made this so modern looking. I love learning all your little tricks for piecing more efficently! Thas for sharing. I am looking forward to this year! Thank you SO much for offering this year’s BOM for FREE!! 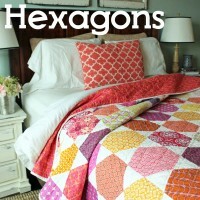 I never purchase BOMs or quilt-a-longs anymore because somehow Life gets in my way and I fall short of completing. FREE, however, means no-pressure as I try my best to keep up. 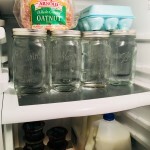 I love your work and have been following you since your Craftsy BOM way back when. You’re awesome. Happy New Year to you and your family! This block is my inspiration to get back to quilting after a crazy holiday season. Hurray! HI Amy! Thanks for doing the SBC again, I always enjoy exploring “new” blocks with you. One question, will you be offering a PDF download, or is this just available through the newsletter and blog? Thanks! If I print out directions from a web site (without it being printer friendly) I end up paying for a few extra pages each printing sometimes pages of comments. 1. Copy and paste the post into a Word document. You can always refer back to the internet if you deleted something you didn’t need. I got down the essentials to 2 pages – Easy Peasy! Thank you for the very clear instructions and the free BOM. This is my first BOM and I am so looking forward to it. Just finished my first block and I must say I’m please as punch at how it turned out. I can’t wait for next month! Just found you from Crazy Mom and I’m so glad! I’m certainly going to do your BOM. I love your “organicness” of fabric choices. I absolutely love this block. Can’t wait to see what the others will be like. 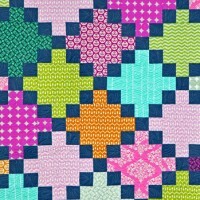 A while ago I ordered a Joel Dewberry fat quarter bundle and will use it for this quilt. 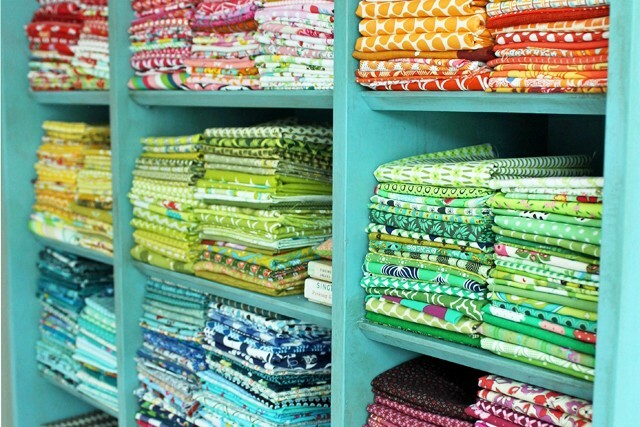 It almost makes me drool to see your fabric stash! Finished the January block it´s beautiful!! Can´t wait to get the next one…. 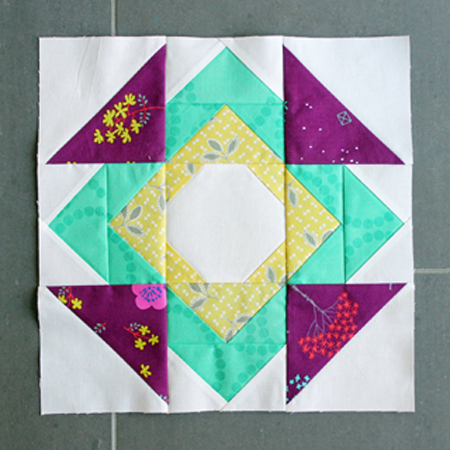 Thank you so much for this BOM, it´s fun to sew block for block, not knowing what the quilt will look like in December! Amy what size should those flying geese end up??? I just made them but they aren’t uniform and I want to trim them correctly!! Love that fast method though! Im having an issue matching up the three rows. The rows with the half sq triangles finish at 13.5 and the row with the snowball finishes at 12.5! I have remade everything! I feel like im missing something. Any help you can offer would be great! Could you please give a size to each of the units. When I make flying geese I usually make them a little larger then cut down to the needed size. I know I could figure it out but I just like it written down so I see it. But other wise enjoying the block so far! Been looking at several BOMs for 2016, this is one I am going to do. Thank you. I LOVE making BOM especially with u, Amy. I started, with u on Crafsty 2010 (I think) with your BOM and I have loved it ever since. U r a GREAT teacher and I sometimes I wonder how u can do it all with 4 kiddies. BUT, I think u r just AMAZING and a very, very talented gal, with your sewing, quilt making and designing skills. I think u would be AWESOME with anything u would do. Your Sugar Block Club is Great too !! God Blesses u, Amy. I made my block yesterday, and it’s gorgeous! I’m so excited for the next block. Thanks for the free bom! Is there a hash tag I should use when I post my block? I missef January and just saw February’s BOM! Whoa, back up get January’s done then move to Feb and follow along. I’m liking what I see. Thank you for showing last months. What a gorgeous block! And the quilt! Thank you so much for sharing your creativity with us. when will March block be posted? I’m chomping at the bit!! I’m missing Feb and Mar. Any ideas? Better late than never! I finally had the opportunity to start my Sugar Blocks. 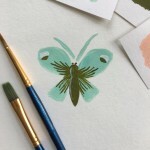 There are many BOMs going on right now, and I don’t usually participate, but when I saw Julie’s (The Crafty Quilter) Sugar Blocks, I was smitten. Today I started, and finished, block one. I’ve never made flying geese that way…very cool. It’s a fun block. I’d make more if I wasn’t trying to catch up! Tomorrow, block 2. Thank you so much! for some time and I really like coming back here. I can see that you probably don’t make money on your blog.